Today, we are happy to be hosting an excerpt of Angela Slatter’s upcoming Tor.com novella Of Sorrow and Such. Mistress Gideon is a witch. The locals of Edda’s Meadow, if they suspect it of her, say nary a word—Gideon has supported them, and it’s always better to keep on her good side. Just in case. When a foolish young shapeshifter goes against the wishes of her pack, and gets herself publicly caught, the authorities find it impossible to deny the existence of the supernatural in their midst any longer; Gideon and her like are captured, bound for torture and a fiery end. Should Gideon give up her sisters in return for a quick death? Or can she turn the situation to her advantage? Edda’s Meadow is a town like any other, smaller than some, larger than many. No better, no worse. Folk, some rich, some poor, some clever, some as thick as two planks, go about their business and are generally polite to their fellows. The canny and the stupid are not confined exclusively to one economic class or the other. At its centre is a market square where produce fresh and otherwise is for sale. Around the edges is a mix of shops (above which the owners live) for the purchase of items more permanent, less perishable, the mayory, and the pastor’s house. There is a large oval where no grass grows though it’s been nigh on ten years since the last burning. On the outskirts: a smithy on the western boundary, a tannery to the east, and most days it’s downwind so the smell of bread and buns from Keil’s bakery can overwhelm and seduce the inhabitants. The two flour mills act as bookends, the newer to the south and the old to the north, the latter unused for almost two decades since Karol Brautigan sent Erika Strauss out of business. There are no walls around the town, and the meadow which was Edda’s is no longer much in evidence. I wonder sometimes if that long ago Edda would recognise the place that bears her name. I wonder more often who she was, for she’s yet another woman lost to history. No one thought to make note of her, whether she committed some great deed or merely owned the field before it sprouted a village that grew prosperous and then grew some more. Females are seldom remembered once they’ve gone beneath the earth; indeed, many go unremarked while they’re still upon it. The Tey River splits the town in two, but bridges—varying in expertise of construction and stability—have been thrown across the span every quarter-mile or so and no one need suffer too taxing a walk. The houses on both sides are a blend of affluent, middling, and impoverished, although the poorer ones are clustered in tiny ghettos, while the more prosperous spread around them in a loose kind of hug, not too close, but almost protective. My home, good enough to blend in yet not so fine as to excite envy, is on the northern boundary, with the old mill in sight, and not in such proximity to my neighbours that I feel over-looked, which is how I prefer it. If the mood takes, follow the line of the Tey, past the new mill, drift by the farmhouses that supply the wheat, and meat and other crops. Continue on, through the fields dotted with flowers of all hues, until you come to a stand of trees. Step beneath the spreading branches, don’t be afraid of the shadows, for soon you’ll break into a sunny glade. The large pond there is called Edda’s Bath and the river runs in and empties out of it, winding off through the depths of the forest. Around the banks grow plants that are useful in my work, things that will heal and others hurt, though I sell the latter to no one in Edda’s Meadow; I’m not a fool. I don’t pass myself off as a doctor—there’s one comes each month from the bigger city three towns over—but I live here and can be found day or night. I’m the person Edda’s folk turn to for everyday remedies even when Doctor Herbeau is visiting. Yet I harbour no illusions: I am tolerated. If a physician ever deigns to make his home here, then I shall become something of an embarrassment, an object of superstition, and a reminder that they’ve held to the old ways. A medical man will spout fancy terms they do not understand, patronise them, and hand out tablets that give a little relief, but no cure. They will worship his impenetrability as a sure sign of superiority and run back and back again for his expertise. My honesty about what I can and cannot do will no longer suffice. I promise no miracles for I know all too well that Dame Fate has a penchant for making a liar of the best-intentioned individual. A doctor with his empty vows will steal their hearts and hollow heads from me, and they’ll dismiss the times I saved their children from fever, or gave elderly parents a balm against lingering disease. The women will choose to forget that the “Widow” Patience Gideon (Sykes that was, if they did but know it) made their barren wombs a little more welcoming for their husbands’ seed, and those same husbands will deny that my potions enabled them to service those very wives. It has happened before and I’ve no doubt it will happen again. For now I am comfortable and content, though I keep a weather eye out. I warn Gilly to do the same, but she is too young and neither blessed nor cursed by my kind of power to have a real sense of how quickly things can change. I tread carefully down the slope of Edda’s Bath, and kneel at the edge. Reaching into the cool liquid makes me shiver though the day is more than warm. I pluck out handfuls of the waterweed growing there. My houseguest asked for it, however I don’t know what it’s for. Her knowledge is different to mine and I’ll ask her how to use it, then write it down in the book I keep wrapt and buried in the cellar. I pick more, shake away the excess water, and put it in my basket next to the nightshade and mushrooms, the angelica, rue, henbane, wood sorrel, mullein, willow bark, woodbine, and pepperwort. There was a time I thought I would never do magic again, but it would have been easier to stop breathing. I’m simply far more careful about what I do. On the surface floats my reflection; not so bad. I’ve just crossed to the wrong side of fifty but could pass for younger, with my clear green eyes, still-pale skin, and dark hair as yet untouched by white. There are fine lines, though, around my mouth, and across my forehead, which Mother always claimed as a sign of intelligence. Her own brow was a maze of furrows, yet it wasn’t enough to help her evade the men of Bitterwood when they hanged—or tried to hang—her. I look past my image, down into the depths, using the sight that was my dead father’s gift: the ability to not only see in the darkness as clear as day, but also to penetrate the earth and find what has been hidden. There’s a bundle, swaddled tight and weighted down with rocks. It’s small, so small. A newborn, I suspect, and unwanted. Brought here by its mother most like. I imagine the smell of sour breast milk, untapped and curdling. No point in telling anyone; they’d want to know how I knew about it and answering that question would only lead to more queries best left unasked. Whoever put it here will torment themselves quite sufficiently. Besides, how am I the one to judge a woman who leaves a child behind? I rise and climb to the top of the bank. Dusk is threatening. I give a high-pitched whistle, hear an immediate answering crash in the undergrowth to my right. Fenric comes bounding towards me, all thick golden fur, caramel on his legs and paws, and honey-brown eyes. He alone seems untouched by the years, his devotion to me undiminished. The great head pushes against my hand and I put the basket down so I may pat him thoroughly. A deep thrumming comes from his chest, almost as if he’s a cat in a dog suit, rather than what he really is. I peer out in the trees, where forest shadows and shapes dance, move. Sometimes they are sharply in focus, but mostly not. Figures tall and short, adults and children. They are creatures not confined to the woods, though they seem to like it best here. It’s well time to return home, before the sun sets entirely. What if I should recognise some of the shades drifting back and forth between the trunks? I’m not fearful, though I am cautious. How many of those shades I might be responsible for is something I cannot calculate. I retrieve my basket, tell Fenric to come along, and head back towards Edda’s Meadow. Gilly will have supper ready soon. My house is three stories high, including a garret, and sits in a large garden where I grow flowers for pleasure and herbs for healing. Perhaps it’s too big for just Gilly and me, but we have visitors from time to time and the extra room doesn’t hurt. Where Fenric and I pause at the start of our street, we can see not just the dwelling and the apple trees inside the fence that surround it like sentinels, but also the old mill in the distance. Tales say it’s haunted and I’ve no surprise at that. As we get closer to home two figures become apparent on the threshold. Gilly’s taken advantage of my absence to have a gentleman caller. I don’t object so much to the activity as to her choice of partner, not to mention the fact we’ve a houseguest who must remain unseen; I trust she’s keeping to her hidden room in the attic. I can make out Beau Markham, the mayor’s son, not as pretty as he thinks he is, but pretty enough to persuade more than one lackwit maiden to lift her skirts. I want better for Gilly, always have. I’d thought her smarter than this—yet he’s lingering, which I’ve not see him do before when spotted on other stoops in other parts of town. He’s always off at a quick pace, while dishevelled lasses stare after him as he waltzes away. They call Shall I see you at the dance, then? and he never bothers to answer unless it’s to laugh unkindly. Well, then perhaps my girl’s clever enough to keep her knees together. Still and all, she can do so much better. I wait in the shadows between two houses and watch as Beau Markham pulls himself away from Gilly and wanders in my direction. For her part she does not linger like some lovesick fool, but goes inside. Good. Fenric growls and I hush him gently. When Beau comes level with us, I speak. I watch as he jumps a little, his almost-purple eyes seeking the source. I take a kind of pity and step out where he might see me. “I would do nothing to hurt Gilly, Mistress Gideon,” he lies most sincerely. He tries to move away, but Fenric has positioned himself immediately behind the boy, so he trips and tumbles backward over my sturdy beastie. Beau’s pasty in the dim light. I lean down and press a quick sharp finger under his chin, my nail nicking the baby roll of fat there that will grow as he gets older and apes his father’s eating and drinking habits. “Bide by that and we’ll remain friends.” I offer my hand and help him up. Beau dusts himself off and Fenric growls louder this time, sending him off at a run. Gilly won’t be pleased whenever she finds out, but she’s young; she’ll get over it. And there’s Sandor, who waits patiently for her to notice him. I shrug off the temptation to give that a kick along by means of my magics—it would not be fair, and it would be one of those rare things: an act to cause me shame. It’s well past midnight when I’m woken by a hammering on the front door. A woman stumbles in, powder blue dress streaked with blood and mud, face bleached, eyes wide with shock and pain. Around her right wrist is a filthy, sopping, makeshift bandage, and in her left hand is her right hand, which is no longer attached to her wrist. Gilly swiftly checks outside, then shuts the door. The woman sways, but remains upright. Neither of us approaches; we wait. Normally, she’d bleed to death in my front room for I can’t assist. I have no power over this sort of life or death, and even if I could stem such bleeding, my magic is not of that kind. I’d have no choice but to apologise as she died, then hide her body, bury or burn her. Only a fool would go to the constable and report such a demise; he’d ask, first and foremost, why did she come to me for aid? What in you called to such a woman? It wouldn’t take long for tales to circulate, for I’ve no doubt whoever did this found her up to no good. A constable, even one as dim-witted and well-disposed towards me as Haddon Maundy, could make connections that would do no good at all. Better she be thought lost and innocent, and thus mourned. Or run away, and loathed in the usual fashion. Better that than she drag me down with her. But this night, oh this night, Flora Brautigan is lucky beyond all measure. This night I can help her. “Best when the wound’s fresh, the chances of it taking are much better,” says Selke as she works. In the guest room with blue curtains Flora lies unconscious, completely insensible from the huge dose of poppy I poured down her throat. She would not have been able to bear what we did to the stump otherwise; scraping away the raw flesh and sheared bone edges, scouring out the dirt and debris embedded there, the traces of wherever she was when this injury occurred. Now her arm is propped on several pillows, Selke’s binding spell keeps the blood from gushing forth. I’ve sent Gilly to slink through the garden and nearby streets, to clear any sign that a woman in distress came to this house, then to wash away the scarlet puddles in the front room so there’s no trace of Flora Brautigan. Selke, nightgown streaked with the substance of which she is mistress, her red locks pulled back into an enormous loose bun, sweat curls framing her face, is bent over the small writing desk beside the bed. On the surface before her is a clump of dead white that, when she is not kneading it this way and that, moves of its own accord, seeming to breathe and shiver. It’s living clay, dug from the earth of certain graveyards, replete with the juices of the dead, redolent with the scent of rot. She splashes it with lavender water to make the stuff more malleable and it has the added benefit of dampening the smell, then she sprinkles a fine pearly dust and works that in, explaining as she goes. Selke is a stranger to me, one of an intermittent stream of wandering witches who come seeking refuge. They recognise the carving above the doorway of oak and rowan and birch leaves, know it’s a safe place. Much better than the forest huts my mother and I used to hide in when I was young. None of them stay more than a few days, but they pay their way with knowledge, swapping remedies and spells. Selke is more secretive than others, she keeps her own counsel for the most part. She’s admitted only to this ability and some herbcraft, but I’ve seen a lot of women on the run—been one myself—and my instincts tell me her powers are even greater than this one. They tell me, too, that whomever or whatever she is fleeing has much influence and a far reach. She’s a good bit younger than me, but there are streaks of white through her auburn locks. “What’s that powder?” I ask, nodding towards the vial that shimmers white. It is a hand of clay, deathly grey, though with a sheen now, and barely distinguishable from the model after she pressed it to the still living one so the lines and whorls would be transferred; no one will notice the miniscule differences. The thing quivers. “You can’t just reattach that?” I ask and she shakes her head. I nod and move closer to Flora. I grasp the arm just above the stump and say “Solvo” as Selke taught me. The magic dissolves with a sigh and a puff of barely perceptible smoke. 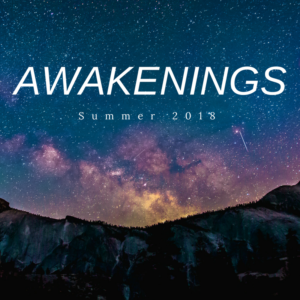 Immediately blood pushes forward in a crimson tide, and Selke swiftly places the new hand against the welling, whispering a spell as she does so. I cannot make out all the words, but I think it’s a chant spoken over and over for a full five minutes, which seems to me far too short a time. Flora struggles briefly in her drugged sleep, but cannot wake and she soon subsides. When Selke steps away, a smile lights her face. The hand, now attached, lies on the pile of pillows. As we watch it grows pink as the circulation flows, enriching it, making it part of the whole. The fingers twitch and tap against the fabric as if to a tune we cannot hear. At the spot where the new flesh meets the old there is no mark, no join to show anything untoward happened. “Beautiful,” I breathe, slightly envious of my guest’s gift. “I was fortunate to have the original to copy.” We both glance at the desk where the severed item lies, unmoving, bloodless. “You’re fortunate Flora uses her hands for nothing more taxing than choosing a dress and jewellery,” I say, and Selke snorts. 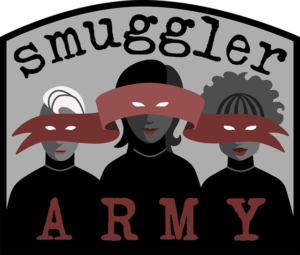 Specialising in dark fantasy and horror, Angela Slatter is the author of the Aurealis Award-winning The Girl with No Hands and Other Tales, the World Fantasy Award finalist Sourdough and Other Stories, Aurealis finalist Midnight and Moonshine (with Lisa L. Hannett), among others. She is the first Australian to win a British Fantasy Award, holds an MA and a PhD in Creative Writing, is a graduate of Clarion South and the Tin House Summer Writers Workshop, and was an inaugural Queensland Writers Fellow. She blogs about shiny things that catch her eye. 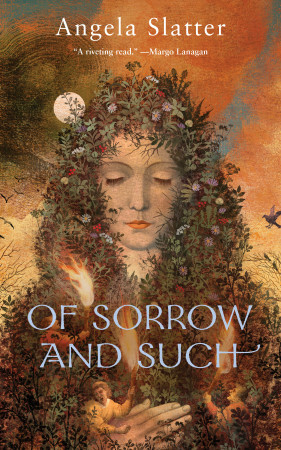 Of Sorrow and Such is out October 13th and you can read more about it over at Tor.com.